Dream interpretation cleaning, taking a shower/bath. Tidying up or cleaning in dreams can be about an ’inner’ cleaning. The same applies to dreaming about washing ourselves or showering. In other words, we might be trying to gain control of ourselves as well as a lot of thoughts and feelings – a chaos roaming around inside. Dreams of cleaning or showering might also be about other things, however. Feelings of guilt/shame/a bad conscience – moral cleansing. The chaos inside can be due to a justified or unjustified feeling of guilt. We may have objectively done something wrong – maybe even illegal – and for this reason, we want this “cleared out of the way”. It could also be the case that we may have done something wrong according to our upbringing / our inner standards – and maybe others wouldn’t find it wrong. Maybe we were living it up a little too much at parties; maybe our clothing style was a bit trashy; or maybe we were attracted to someone of the same gender as ourselves? All something we might deep down think is wrong – but maybe it’s really the right thing for us? Wanting to get rid of something that is weighing you down. The inner clean-up process might also be about wanting to get rid of something that, perhaps every day, is weighing us down. Showering or bathing in your dreams, or in any other way being washed or cleansed, can symbolize the same as above. You want to be clean, in the sense of guilt-free or worry-free – you want to wash the “dirty” feelings away. For this reason, it is common that young women, who are menstruating for the first time, dream about washing themselves clean as an image of the embarrassment they feel about it. Being washed/cleansed or taking a shower in a dream might also symbolize an act of baptism – that we are reborn in some way. It may be in a spiritual or religious way, but it can also be an important step in your personal development – that you are starting over somehow. NOTE: Dream interpretation is not always easy, and it is important to remember that your dream is yours and no one else’s. 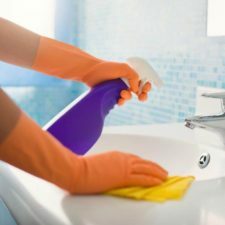 If you have dreamed about cleaning or showering, it will most likely mean something different to you than it does to others dreaming about the same. You are the one to know when an interpretation of your dream is right. i dreamd i had gone to apply for a job then gate man washed my back so clean. he took some good time that i was late to submit my academic documents. i then enterd through wash room and found people sited and i joined them. they said it wasnt easy geting jobs but thank God they are now waiting brefing.